In the 7th Lunar Cycle of 2013, we enter with moon sign and sun sign in cancer and we become vulnerable to the illusion of the human field - that what we have created can be destroyed in the pressure of life. Walk, stay in flow, and support what we have created. Even if the 6th lunar cycle of Creation Circles was missed, we were still creating - so join us this cycle and live in flow. The 6th Lunar Cycle of 2013 is a refelction of what we do with energy and information, once we have brought it in. The key, when we release the energy to create, is whether it will balance and reflect the universe - or simply reflect something unbalanced within us! Be in the shadow of earth, illuminated by the ring of the sun. As we work contained in the star form, in pulse with the energy, we begin to transform - coming to a deep self-understanding of how we have been blinded by the light. With the second lunar cycle of 2013, we learn to connect and pulse with the sea of creation. Experience the four-phase pulse of creation through doing these practices daily with the phases of the moon. The journey of one becoming two is the most powerful, in terms of our energetic development - because if one never became two, there would be no universe or life as we experience it. We walk to experience our soul being one, then becoming two, then becoming one again. As we develop the container of the heart and two becomes one again, we integrate our past life footprints. We walk this twelfth lunar cycle labyrinth to learn to contain the raw energy of creation. This is the underpinning to being able to see the truth from a lie, to contain the ability to see the creation energy behind something - this lets us see if it was created whole or pieced together to deceive. We enter the labyrinth with moon sign in Scorpio and sun sign in Scorpio - we are walking to get free of its sting, that which numbed us against our desire to learn to contain the raw energy of creation. As we enter the eleventh lunar cycle with moon sign and sun sign in Libra, we call on the three interconnecting triangles. These triangles appear as we connect the stars. We enter this lunar cycle's labyrinth adjacent to the body energy corner. In walking this labyrinth, we find our stance, and we become the bridge between earth and sky. Walk and experience being the bridge between earth and sky. The tenth lunar cycle: We enter the Fall labyrinth of 2012 with moon sign and sun sign in Virgo. The first corner is "Body Energy States". This dictates that the lunar cycle is about our ability to maintain our own energetic boundaries - relating to our relationship to self, earth, and the pull of the closest spiral galaxies. Developmentally, this represents our ability to use our inner fire and contain it, utilizing our ability of reflective relationship. This, then, enables us to resist the urge to merge energetically, one of the points of origin of cause and loss of soul self. Walk and learn to be comfortable in your own energetic sphere of being. Note: If you are new and have not walked the other lunar cycles, these are becoming more difficult to walk because they follow a developmental sequence. 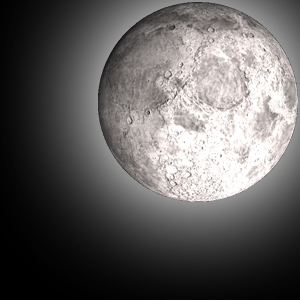 We suggest you begin with the first lunar cycle (2012-01). Since Kiera Laike forged these lunar cycles into the human field, they are available for years for walking at any hour of any day. The ninth lunar cycle awakens us to one of the most powerful reasons that souls take form in the body - to have the experience of life or deep feelings. For many, their feelings have become something that tortures them. Walking this lunar cycle will provide the mechanism of inner connection, to enable a complete deep experience of all feelings. We call this "Mastery of Emotions" - it is the ability to have emotions and feelings, while maintaining a deep connection to all. The eighth lunar cycle, this year, like the eighth Vortex, is one of the entry points into the human vortex system. The eighth vortex filters and takes in information on a photon-light level, where the energy begins the journey into the body. The energy in the human field, placed here by humans, distorts the energy as it is moves into the eighth vortex. This distortion stops the gathering of inner light and the soul essence from moving deep into the body vortexes - to aid us in creating change through a deep soul attachement. Leo's flame in you will walk and become the nurturing flame inside you - in the overwhelming waters of emotion. We cannot create in flow if we are overtaken by emotion. Walk and gain a core place of holding on to the self, to the soul - in the storm of emotions and the energy of others. The seventh lunar cycle is one of the most important to walk, because (like the 7th Vortex in the human body) the seventh lunar cycle lends itself easily to be led astray. The zodiac constellations are intruded on by the northern sky. The stars in the northern sky have the greatest influence, because they were the first to be bound to the human field by humans. Walk to hold onto yourself or to not be led astray from creating change in your life. Do not wake up in September wondering how you got to September without creating the change you want. Walk the lunar cycle labyrinth. The sixth Lunar Cycle is entered cradling our heart's desire. Our heart's desire emerged in the fifth lunar cycle. Even if you didn't walk the fifth lunar cycle, your heart's desire is still present for you to enter. Our heart's desire is now nurtured as we enter through the transition of the sun sign from Taurus to Gemini. We walk the first path of the labyrinth in sun sign Gemini and moon sign Gemini - this cycle we walk to awaken the power of reflective relationship - walk and understand the beauty of reflective relationship. The fifth lunar cycle represents its own star form. What this means is that coming into relationship with each of the days creates a special container of change on its own. This is needed to support the underlying theme or energy of the lunar cycle - that of transforming to obtain something you desire. As always, a must to walk. The Spring labyrinth rotates out and the paths pulsate out. The excitement of this Spring energy is like the beginning of a carnival ride. We are so excited for the experience and where the energy will take us. However, if we are too big or too small for the safety harness, we will not be held in place. The ride will gradually overwhelm us, throwing us around. We then become the effect of the energy, instead of experiencing the energy. This labyrinth provides daily containers for the intense energy of the Spring moon cycle. Entering the labyrinth with moon and sun sign in air, our first tendency will be to go to overwhelm and create attachments to other things, instead of walking and being met. Being met determines the core of the self or "personality". Being met is the primary process behind feeling safe in the world. It is very supportive to also walk this labyrinth on an issue or topic in your life, so that you can experience being met from the labyrinth healing on your topic or issue. We pass through two stars that look as though they are one, yet are two - to attach to one and not to be blinded by the light from the existence of the other one. For most of us, we have had so much confusion and bad information, just experiencing this labyrinth is too overwhelming. It works better to walk on a topic or issue to facilitate healing about taking form or being on earth.